Welcome to the Cupcake Clothing Blog. Do you like cupcakes? Do you like clothing? If the answer is yes you've come to the right blog. Get the latest on what's new in-store wrapped up in a tasty sprinkle covered treat. Enjoy. 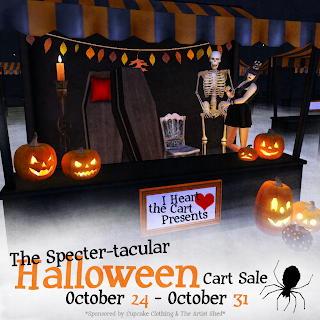 Someone must have put a spell on me, because I have been shopping up a storm at the cart sale. Hey I helped organize it but no one said I couldn't spend all my lindens at the sale. It all started at the Crazy Pastry Design Cart were I found the 10L Lily Lace Dress and after that I was addicted. Ok ok so all of the items aren't 10L and I tooted my own horn but it's my blog and that's how a roll. 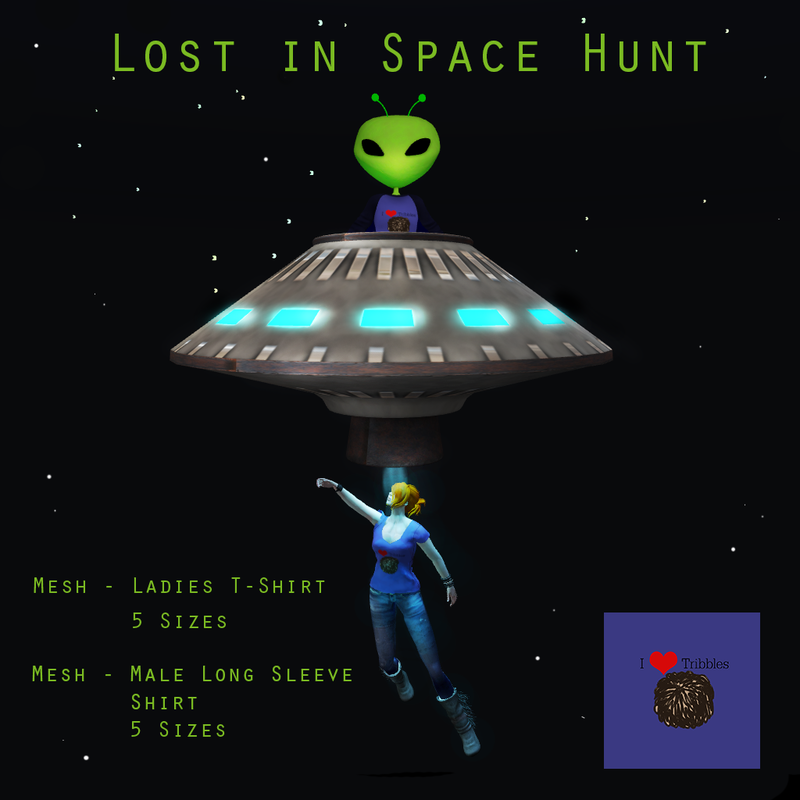 The Lost in Space Hunt runs from September 21st to October 21st and promises to be a good time for all you space ladies and gentlemen. 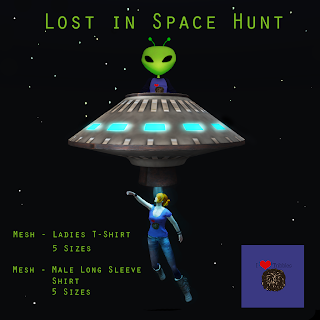 So grab the nearest UFO and beam yourself from store to store while you hunt for space themed items from across the grid. Hopefully this will be the last time. I've made sure to update my SLURL so you can find my store. Plus there are a few new goodies on sim, a Cupcake Clothing discount store, a yard sale and many places for photo opportunities. 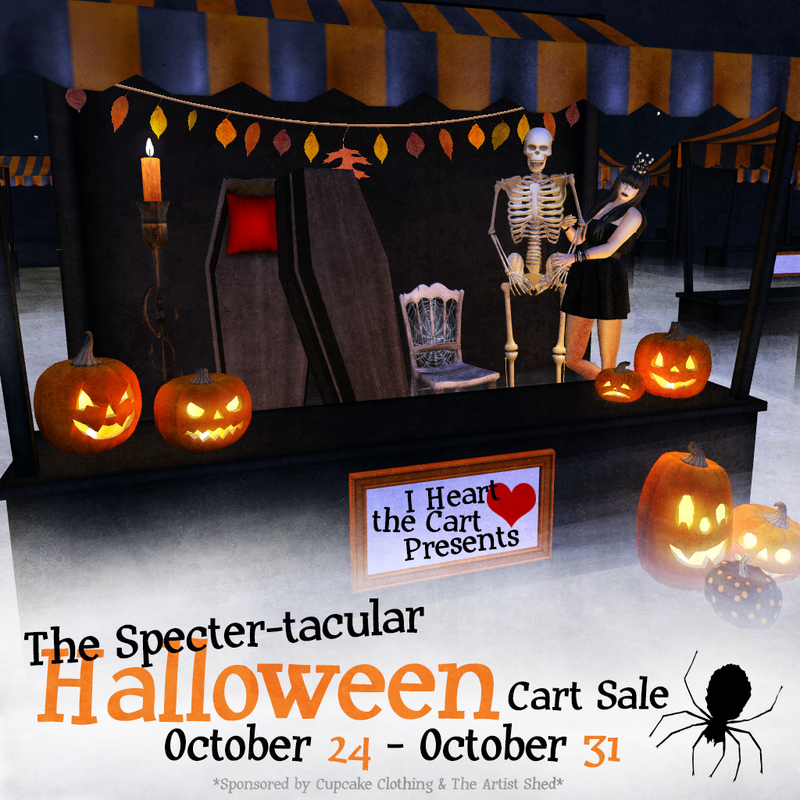 Ok, so this is officially late, it's the last day of May but who cares, I know you all want to hear about this month's feature, fashion from the Summer Cart Sale. 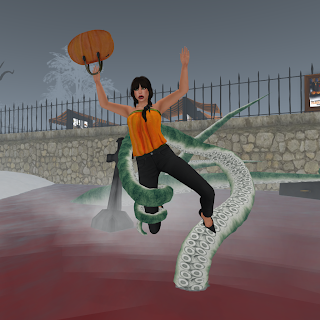 I have been on Second Life for awhile now and during that time I realized that I have a passion for fashion. 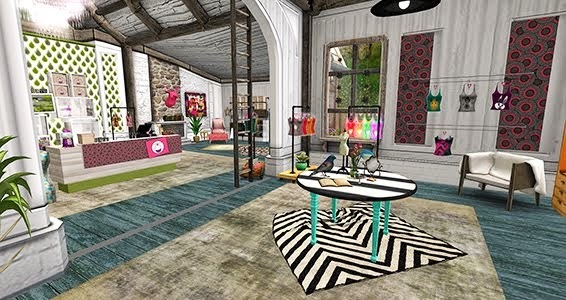 I have a great store called Cupcake Clothing where I spend lot's of my time making the folks on Second Life look their best. 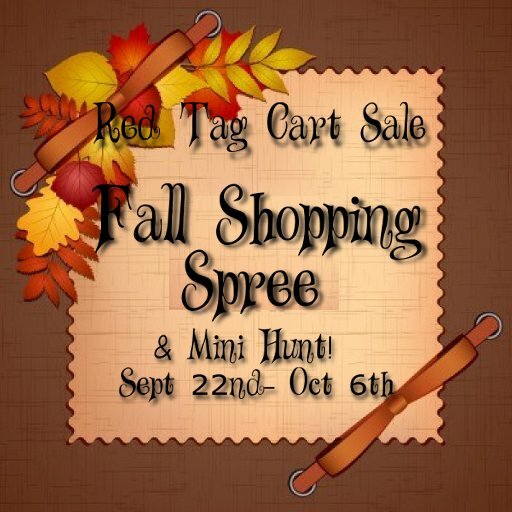 Along with the help of my artistic (real life) sister (who recently joined Second Life), I hope to make some sales and new friends with this blog.